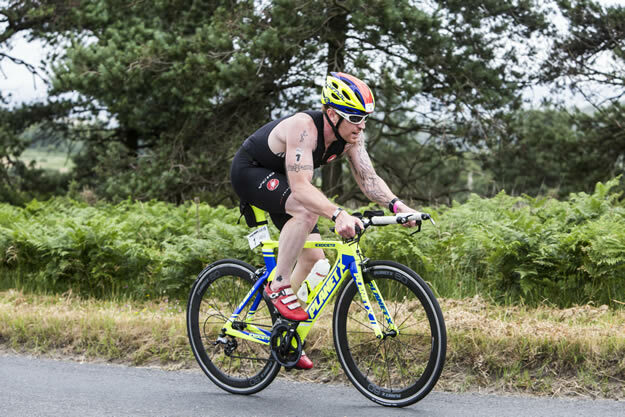 Tri247 columnist Karl Alexander raced in the "tough, very tough!" 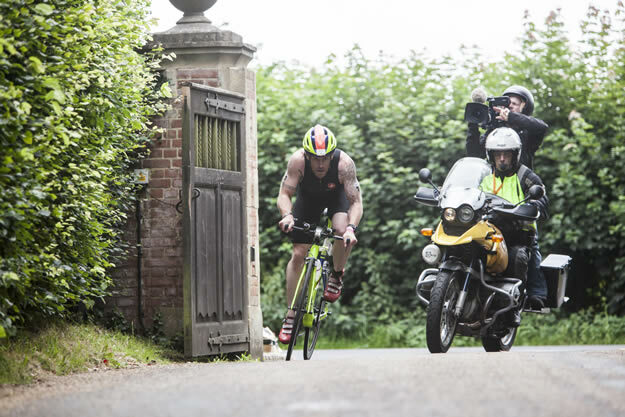 second edition of The Bastion iron-distance event at Hever Castle on Sunday. We memories of a previous victory on the same roads over half the distance two years ago, could he make it a double over twice the distance? 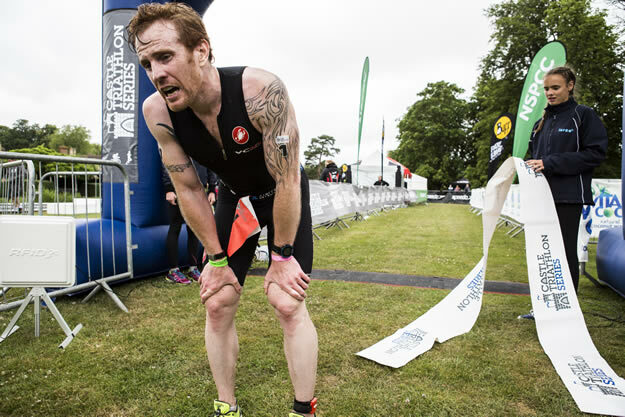 At the beginning of this season, The Bastion at Hever Castle from Castle Triathlon Series wasn't on my radar. 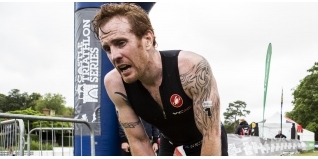 Even halfway through the season it made no appearance on my schedule, but after my win at the Outlaw Half I received an invite from the organisers and having raced and won the Gauntlet (Middle Distance) over the same course in 2013, I decided to alter my programme and enter the race. With registration and the race briefing scheduled on the Saturday, I decided that I would drive to and from the venue and get a restful night at home rather than camp or get a local hotel. The camping facilities were adjacent to the event car park and a short walk away from the race village. The registration process was very relaxed and after only 30 minutes or so my bike was racked and my bike and run bags were in the changing tent and ready to go. Now I just had to kill some time before the race briefing at 5pm. The race brief, delivered by Brian Adcock was detailed and informative without being too long which can sometimes be as much of an endurance test as the race itself, so thanks Brian for keeping it short and sweet. After a quick drive home it was time to set the alarm for 03:45 and get my head down. Literally two seconds later - or so it felt - the alarm sounded and it was back round the M25 headed for Hever. As we drove we noted the number of taxi's on the roads presumably taking Saturday night revellers home to bed whilst I was going to do an iron-distance race. I started to question my life choices! On arrival, I gave my bike a quick once over, cleaned and re lubed the chain and adjusted my tyre pressure. Rain had been forecast off and on all week, so I opted to run a slightly lower pressure and not run any risks. 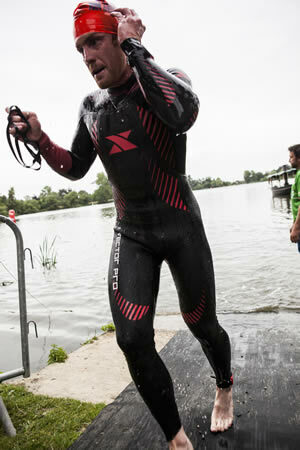 With the wetsuit on I walked to the swim start where Brian reminded competitors of the two lap, lake and river swim. Then it was time to get in the water and prepare for the off. Over the last few months I've worked hard on my swim in order to really allow me to play to my bike strength, rather than using the first 20 miles playing catch up. I wanted to use it to put time into the chasers behind. The training is paying off and despite going off course briefly (probably should have listed to Brian a bit better), and swimming into a wall (D'oh!!) I was leading as I exited the water, and for the first time in my career I was #firstoutthewater. It's quite a long run up to T1 but the surface is flat and even. Despite a couple of steps early on that might catch you out if you're a little wobbly, it is good to get your head into the next phase of the race. After a few minutes I was mounting my bike and heading out onto the bike course. Now, I'm not going to sugar coat this, that bike course is tough, very tough! With 2625m (8615ft) of elevation gain over the 112 miles you're either climbing or descending and finding a rhythm is hard to do. Knowing that it would be all too easy to blow up on a course this tough, whenever the road went diagonal I was down on to the 39 and spinning up the climbs. The first lap passed by and I was feeling great. At the short out-and-back section I had calculated a four minute lead on the two nearest chasers, Darren Jenkins and Matt Dowle. I made a mental note of the point where I we passed so that I would know if they were gaining or losing on me next time around. As I went into the second lap I passed a few of the entrants of the new Aquabike event but otherwise I had clear road and pressed on. Back out on to the out-and-back section and my lead was growing, I reckoned it had gone out to around nine minutes after two laps and I was still feeling really good. As I neared the end of the second lap I began to lap some of the back markers and gave some encouragement to a few on one of the climbs as I passed. About 10km before the end I overtook a Sunday club run ride, and was aware I had picked up a couple of passengers. I swung out and kindly asked them to drop off and not draft, last thing I wanted was to get pinged for drafting. They apologised and kindly obliged. I was still feeling good and was fighting the urge to pick up the tempo but luckily a mature head prevailed and I reigned in my enthusiasm. On the third and last out-and-back I calculated a 12 minute lead on Darren Jenkins but Matt Dowle was nowhere to be seen. 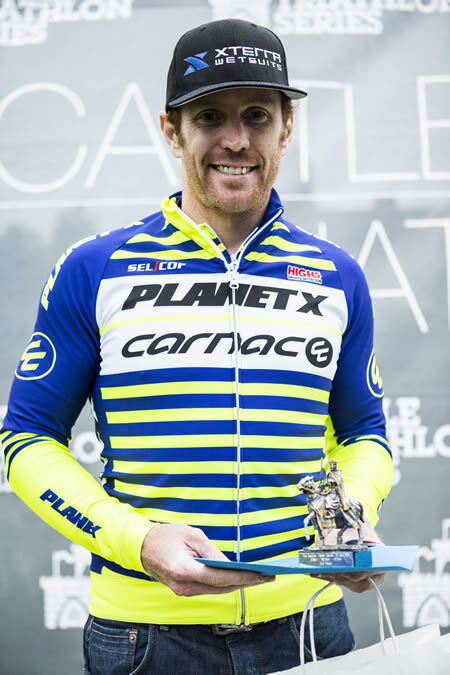 I've never raced Matt before so don't really know much about him other than he was third placed here last year, so was certainly a threat. I began to think maybe he had closed in on me and I hadn't spotted him, the further I climbed up from the turn the more certain I became. I had overtaken a lot of riders on the climb and looking back I couldn't tell if he was there or not. Approaching the top I spotted him and let out a little sigh of relief; I had about a 20 minute advantage at that point. Coming into T2 after 5:24 and the fastest split of the day, I had over 13 minutes advantage on Darren, I know him to be a good runner but I had a plan and kept to my guns. The run course is predominantly cross country and has very few flat sections, it is however an awesome four lap, 10.5km run course taking in woodland, fields past not one but two castles and is very challenging. At the end of lap one, I was still in the lead but I had no idea by how much, I was still going well and concentrated on breaking the run down into 5km chunks, I know I can run 5km so how hard can eight back-to-back be...? Running through the grounds of Chiddingstone Castle I'd been caught, Darren was shifting and I didn't even try and up my tempo to stay with him. I kept him in sight over 2 or 3 kms but he was moving very well and eating up the ground. Over the next 20km Darren put a minute per kilometre into me and I can't help but doth my cap to such an epic performance and congratulate him on a great win. As for me, well I certainly gave him a helping hand in such a huge gap, I was cramping like crazy, my feet, my calves, my hamstrings, it was like I was running on wooden legs without any knees. I started to stop at the aid stations and was taking on board isotonic and trying to get my salts back up. Whilst at the aid stations I was stretching out before shuffling off. I'm pleased to say though that I was only forced to stop and walk once. All in all, I'm pleased with my performance. Fastest swim, fastest bike and second overall. Thanks to Brian and his team for such an amazing event. In only its second year I hope that this continues to grow as this is without question the toughest iron-distance event I've done and if you're going to only do one, make it this one! As for me, I'm in recovery mode before the Outlaw in two weeks. The goal is to do the double and I know it's going to be tough, but thanks to my epic sponsors Planet X I'll be rolling on my new secret weapon!